Buying a new tree or shrub can be very exciting, but also confusing.Whether buying a bare-root, rootballed or containerised plant, it is important to consider factors such as size, root and canopy health, suitability for the garden and retailer guarantees. Trees in containers, ready for planting. Follow these guidelines when buying any tree or shrub, no matter how big or small, deciduous (losing their leaves in winter) or evergreen, and bare-root, rootballed or container-grown. Autumn is a great time to buy and plant a new tree or shrub, as you can choose from container-grown and bare-root plants. 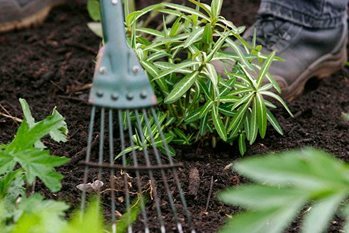 However if pushed for time, you can plant at any time until early spring as long as the soil is dry enough to work (if it sticks to your boots or tools it is too wet). Container-grown trees and shrubs can be planted at more or less any time of year, but need thorough, regular watering after planting to ensure good establishment. If planted in spring or summer it can be very challenging to keep them alive during hot, dry spells. Selecting and buying a tree or shrub is not always straightforward. The following are some appropriate points to consider. Decide on your requirements before going to the nursery or garden centre: what final size are you looking for, is the tree or shrub to be deciduous or evergreen, single or multi-stemmed, vigorous or slow growing? Examine your site conditions: is the soil dry or moist, rich or poor, in a sunny or shaded position? As long as the plants you buy are healthy, there should be relatively few problems afterwards. However, there are a few things to watch out for, including brown or ailing leaves.